Antivirus software is a type of utility used to scan and remove viruses from your computer or smartphone. While many types of antivirus (anti-virus) programs available, the main purpose of creating antivirus is to protect computers and smartphones from viruses and remove any detected viruses. Most of antivirus programs have both manual and automatic scanning capabilities. Automatic scanning can check files anywhere, whether files that are downloaded from the Internet, or disks that are inserted into a computer or smartphone, even files that are created by the third party software. Automatic scanning can also scan the entire hard drive regularly. The manual scanning option allows you to scan files one by one or the entire system whenever you want. Because of the growing technology, new viruses are constantly being made by hackers. Therefore an antivirus program must store an updated database of virus types. This database collected from list of "virus definitions" that are referenced by antivirus software when scanning files. Because new viruses are often distributed, it is important to always update the virus database from your antivirus software. But don’t worry, most antivirus programs automatically update the virus database every months even weeks. Basically, antivirus software is primarily designed to protect computers and smartphones against viruses. But now there are many antivirus programs that are able to protect against other types of malware, such as rootkits, adware, and spyware as well. Antivirus software can also be reinforced with firewall features, which help prevent hackers from accessing your computer and smartphone. Utilities that have antivirus and firewall features are usually branded "Internet Security" software. Most antivirus programs are available for Windows, Unix platforms, and Macintosh. But most antivirus software is made for Windows systems. This is because most hackers target viruses to computers with Windows systems. Therefore virus protection like antivirus is very important for Windows users. If you are a Windows user, you should have at least one antivirus program installed on your computer, or your smartphone if it also use Windows system. Here are a few examples of common antivirus programs, include Norton Antivirus, Kaspersky Anti-Virus, AVG Antivirus, and many more. Anyone who finds out on the internet and then knows about various antivirus programs can benefit by allowing you to stay safe when you are online. Accessing a website can open the way for hackers to infect your computer with a virus, and they are also able to gather information or spying on you secretly. But you don't need to worry, by installing appropriate antivirus software, you can prevent viruses from infiltrate your computer or smartphone. Adaware is antivirus software that was created by Lavasoft. And this antivirus program is able to provide protection against a large number of cyber security threats that can occur when we surf the Internet. They offer different levels of protection according to the price of each level. But the payment is only one time for this program. Besides being able to detect and remove viruses, this antivirus can also detect spyware. Where spyware is usually used to steal your main password. And this software is also able to protect your device from Trojan viruses. Due to advances in anti-malware technology, this program makes it possible to provide effective protection without overloading the system. McAfee VirusScan has succeeded in becoming the second most popular antivirus program on the market for a few years. This make McAfee strengthen their position as a strong competitor to Symantec. 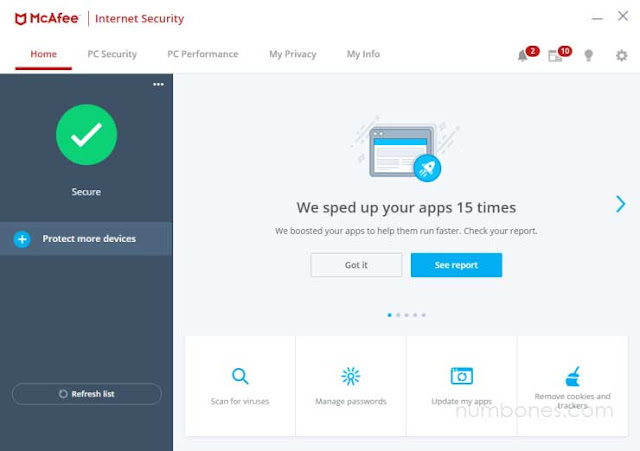 This antivirus provides protection from spyware and viruses in one program, unlike many other antivirus programs that separate spyware and virus protection features. To be able to use McAfee, you have to spend some money to subscribe the protection. But you will not disappointed, because it will give you access to keep update the latest virus protection and make this antivirus stronger. Kaspersky Antivirus is made and developed in Russia. 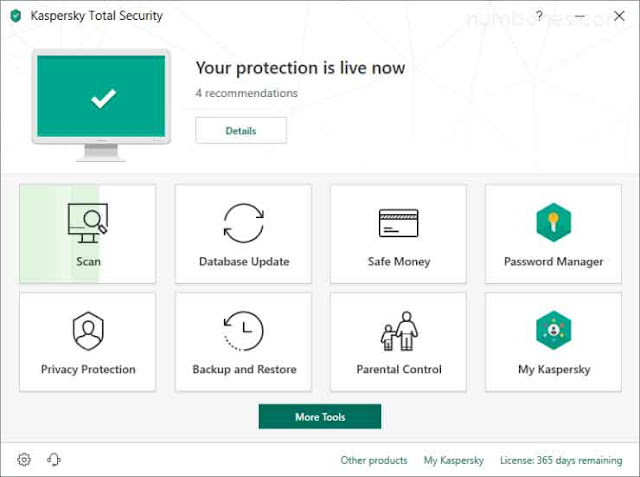 But unfortunately Kaspersky is not a popular antivirus compared to other antivirus protection programs, and in fact there are quite a lot of people who have never known about this antivirus. Even so, they are able to compete and provide highly effective products for protection against viruses, Trojans and spyware. Kaspersky has 2 of the most popular programs, including Kaspersky Internet Security and Kaspersky Antivirus. Both of these programs will prevent problems that will be faced by your computer or smartphone. AVG is one of the most popular antivirus programs in the world that can be used for free. To use AVG is very easy, because you can directly download it via the Internet. The advantages of this antivirus, besides not taking up a lot of space on the hard drive, AVG can also work with a number of different Windows operating systems. The way it works is to combine the capabilities of antivirus and antispyware into one, then AVG works by scanning all files on the computer regularly. In addition, this antivirus has the ability to quarantine detected virus files, so the virus cannot do any damage. Or maybe you can immediately remove the detected virus directly without the need to quarantine it. There are several Norton antivirus programs available, and all of them are manufactured by Symantec. They can quickly prove the quality of their antivirus as a market leader in terms of computer or smartphone system security. And they also have a variety of different electronic equipment stores. 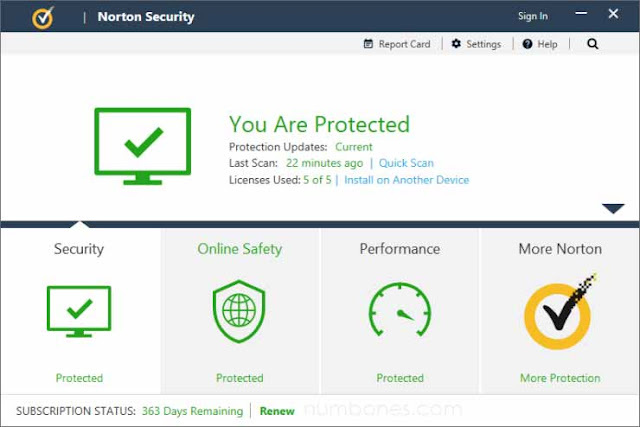 The Norton program is used by most computer users in the world, who pay an annual fee to subscribe to maximum protection. Similar to Kaspersky, Norton has 2 of the most popular programs, namely Norton Anti-Virus and Norton Internet Security. Norton Anti-Virus and Norton Internet Security are software programs that are able to regularly scan all computer files and delete any detected viruses. After discussing the types of premium antivirus software, it is time to discuss the example of a free antivirus software. 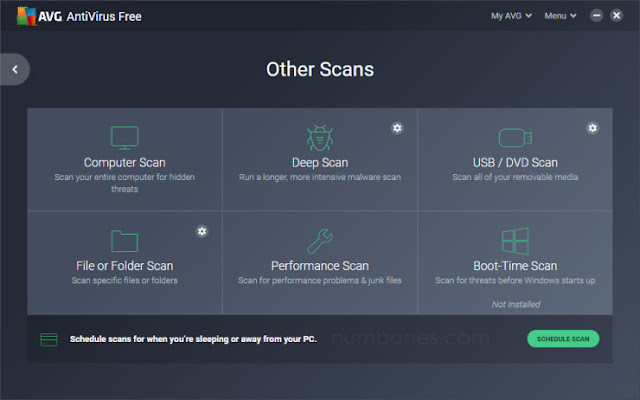 You probably know a lot about this antivirus software, but what I'm posted here is a list of the best free antiviruses. Before I start, keep in mind that this free version does not offer the same protection as the paid version. 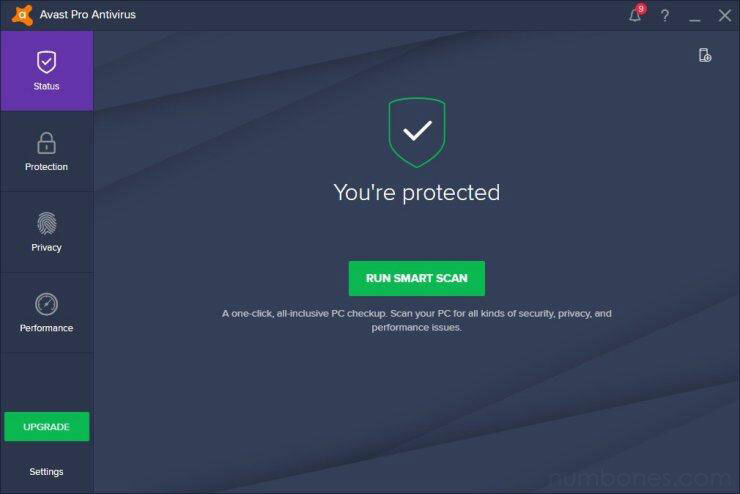 This free version does not have all the full paid antivirus features, and does not have the capability as well as the paid version. So I will not compare the version of the antivirus, but from a free antivirus perspective. If you like this antivirus because of the protection it provides, you can support the developer with buying their products. 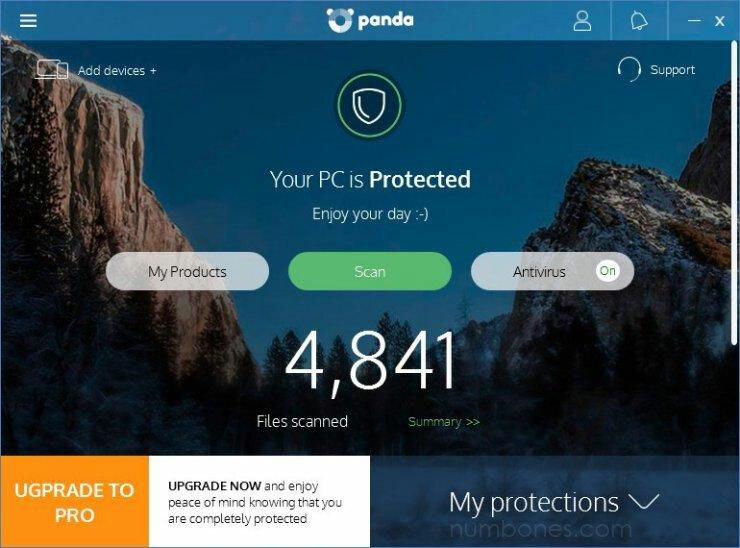 I have to admit that Panda antivirus doesn't distinguish itself from other free antivirus software, in any way if it's about the protection they provide. It offers the same level of detection from adware, malware, spyware, viruses, worms, and trojans. The thing that makes Panda Cloud Antivirus the first position on my list is as the name suggests, because it is based on Cloud. 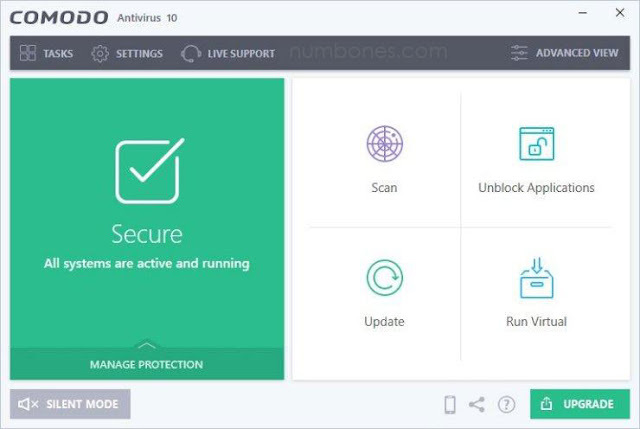 The point is that when you scan your computer, this antivirus doesn't use resources from your computer, but they operate in the cloud. Which makes your computer function normally without being disturbed by the performance of this program. I think Comodo Antivirus is a pretty good antivirus program. Because after doing all the steps in installing it, I see this antivirus has the ability to detect with a detection rate of up to 90% and a percentage of completion of 60%. But I would still advise you to use it in parallel with other antiviruses that provide more cleaning power, so that protection from your computer or smartphone will be more optimal. Although this antivirus requires a few additional steps from your usual antivirus in the process of installing it, the detection engine proved to be very good. But you might be thinking of installing other software if you want to clean your infected files properly. Because of those numbers, that’s why Comodo Antivirus included in our list of the best free antivirus programs. 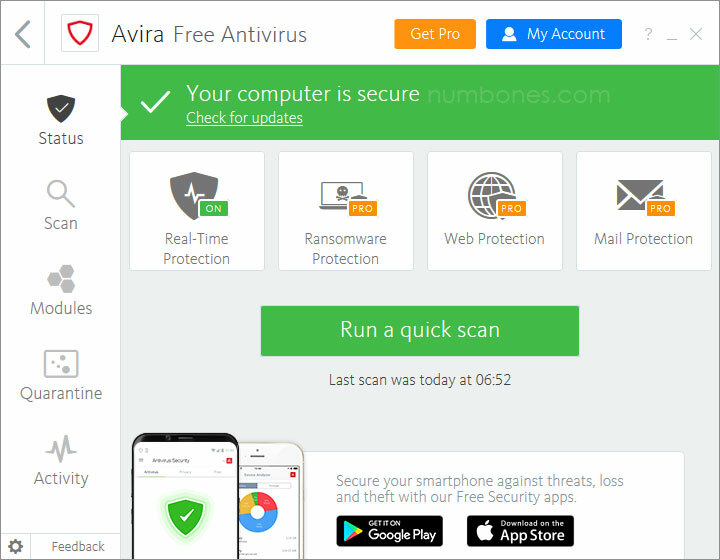 Avira is another example of a free antivirus program that is considered very good, because they have many things to offer. By providing features such as user friendly, excellent protection, and almost not slowing your computer or smartphone. I have been using Avira for some time, and I have to say that I am very satisfied with the results. It can detect most threats and it can work without disturb your resources in the background. 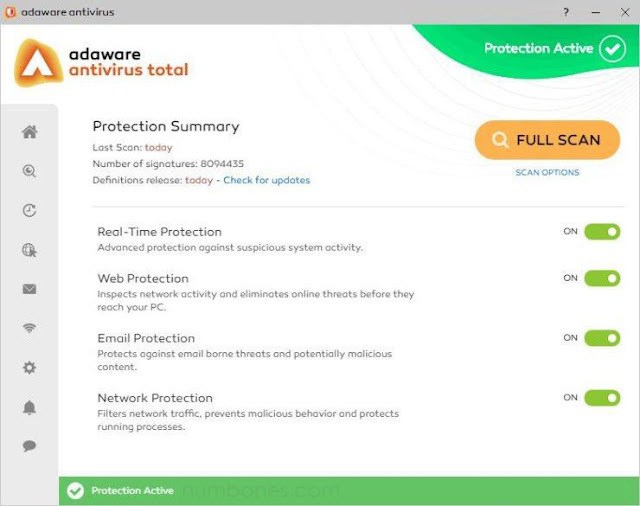 This antivirus is perfect for netbooks, laptops, even for your personal computer. I know that Microsoft is a new type of antivirus in internet security games, but that doesn't mean they can't compete with other great antiviruses. 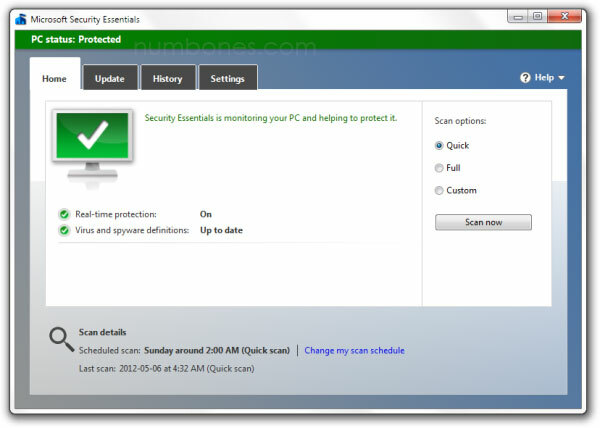 Microsoft Security Essentials is the perfect antivirus, very easy to use, and absolutely free! This antivirus can update itself automatically. And because this antivirus is produced by Microsoft, it actively interacts with Windows System Operations and can be easily integrated perfectly in the system. Even though I put this antivirus in the last position, don't get me wrong. It is precisely the best antivirus, beyond what I have mentioned before. In my opinion Free Avast is the best free antivirus ever. Because to be able to enjoy the free version, all you have to do is register (free) once a year, and you will get your best protection on your smartphones, computers, downloads, and e-mail. This antivirus has a powerful heuristic engine that allows it to find almost every virus on your hardrive. With the experience that are gathered over the years since 1988 by the developers, this shows very well that Avast has a lot of experience in terms of securing viruses! That's the definition, type, and example of an antivirus. As the name implies, antivirus is created to ward off viruses. And now you know that there are many antivirus types and antivirus examples, even those that are not included in my list are still many. numbones.com hope that what I post here can give you knowledge and benefits. If you still cannot understand enough about this, please ask in the comments column. Thank you! 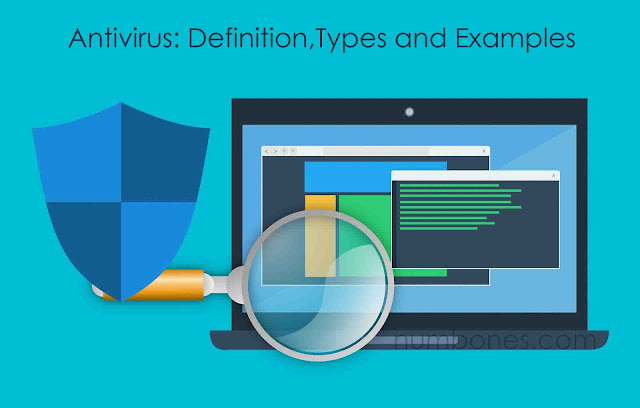 0 Response to "Antivirus: Definition,Types, and Examples"